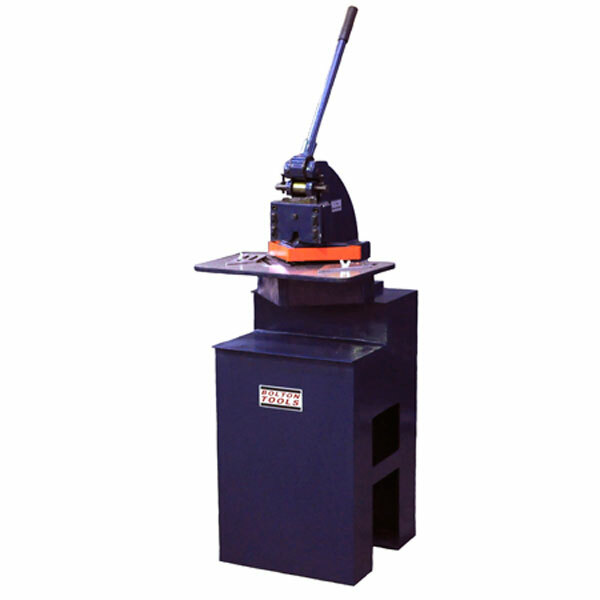 The HN-4 manual corner notcher is a high quality cast iron sheet metal notcher perfect for any garage or sheet metal shop. The cutting angle is fixed at 90 degrees and can notch up to 6" x 6" in one manual stroke. For your safety we have included a blade guard to save your fingers. Because of the high quality components used to make the HN-4, the finished notches are extremely clean and have burr free edges. Take it off the stand and you have a machine that is very compact and can be easily moved from jobsite to jobsite. Adjustable guides on the oversized table allow for accurate repeatable notches. Table Size : 18" x 12"
Packing size with stand: 60" x 44" x 48".